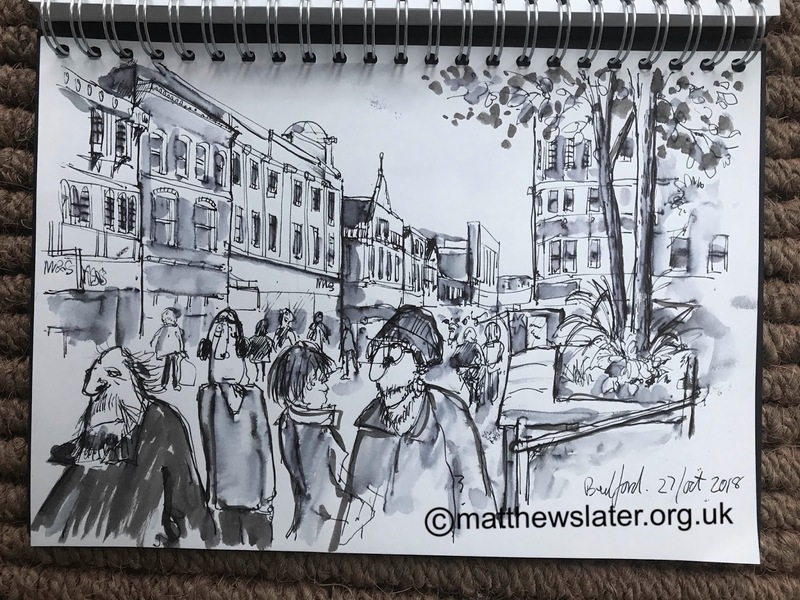 Today I visited Bedford to sketch. 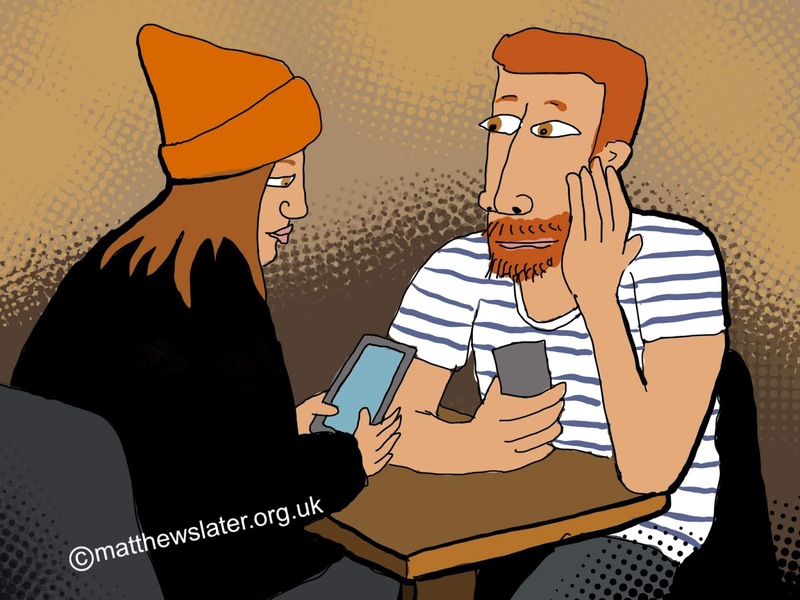 The first two pictures are pen and ink sketches from my sketchpad and the third is an iPad illustration made whilst visiting my favourite cafe, Cafe with Art. 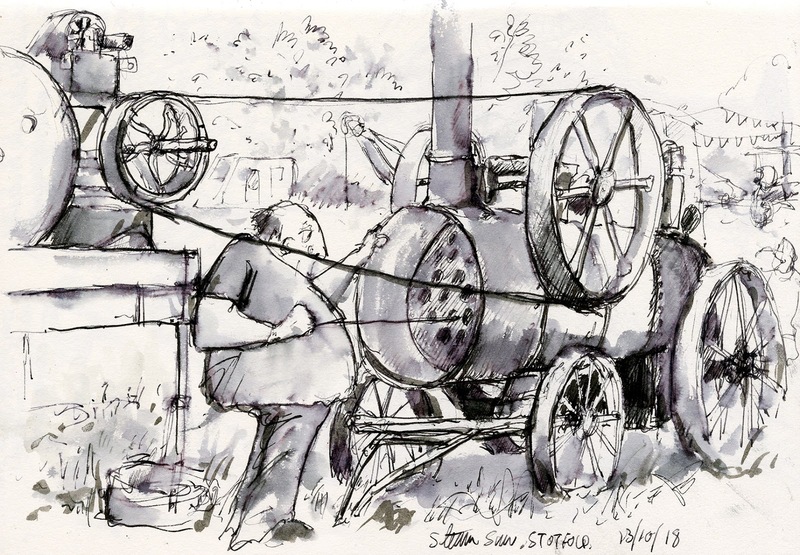 Pen and ink sketch of a threshing machine at the Stotfold Mill Working Steam Weekend, Bedfordshire, a couple of weeks ago. 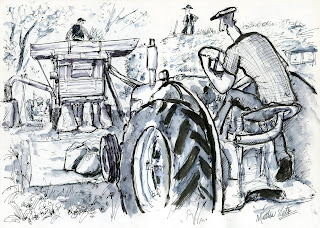 I had a very enjoyable day there on a warm, sunny autumn day surrounded by lots of people and vintage machinery. The sketch below is of a man cleaning out a stationary steam engine powering a large steam saw. 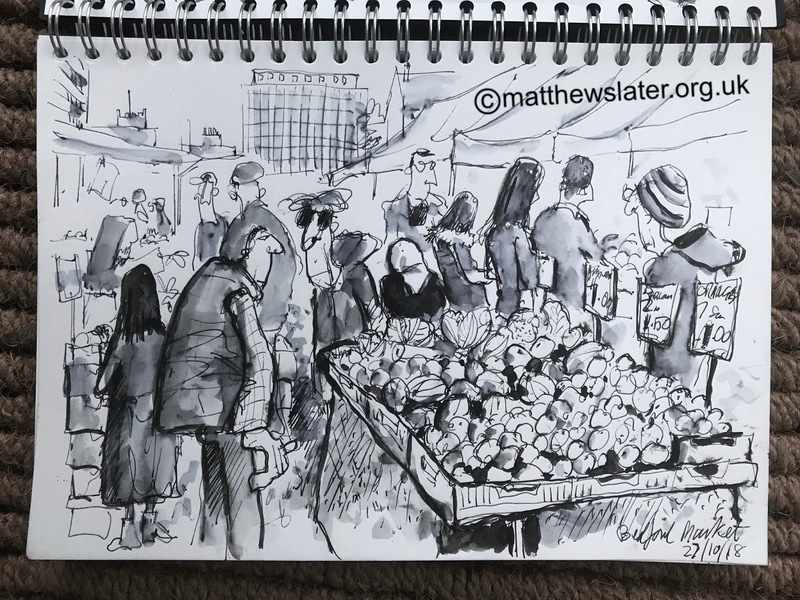 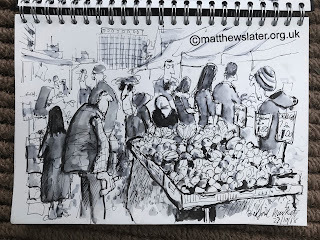 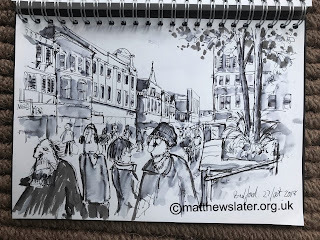 This sketch appeared at lunchtime whilst I was wondering whether to write or draw people and I wasn't expecting a picture to appear. 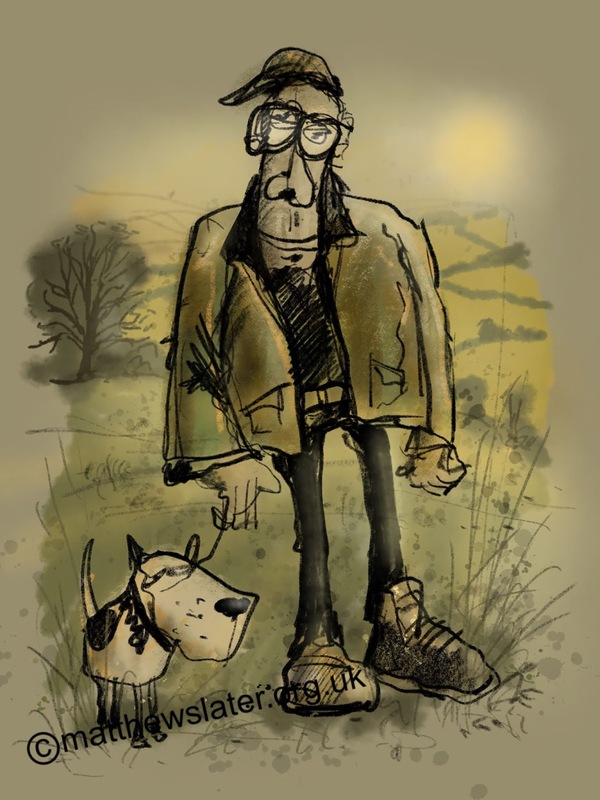 I am trying to make some of my characters more contemporary looking for when I go out sketching in towns. 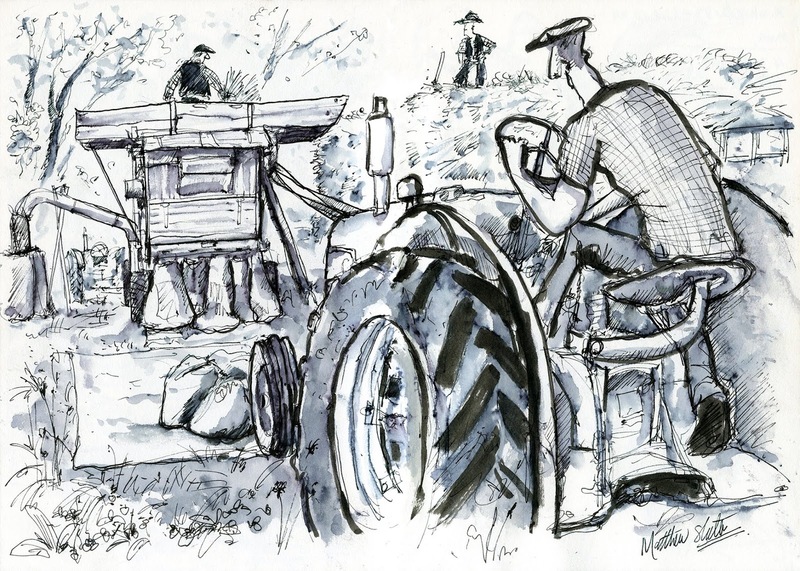 I was going to post some sketches this evening I scanned from my sketchbook. Unfortunately I deleted the files off my memeory stick so will try again another night.